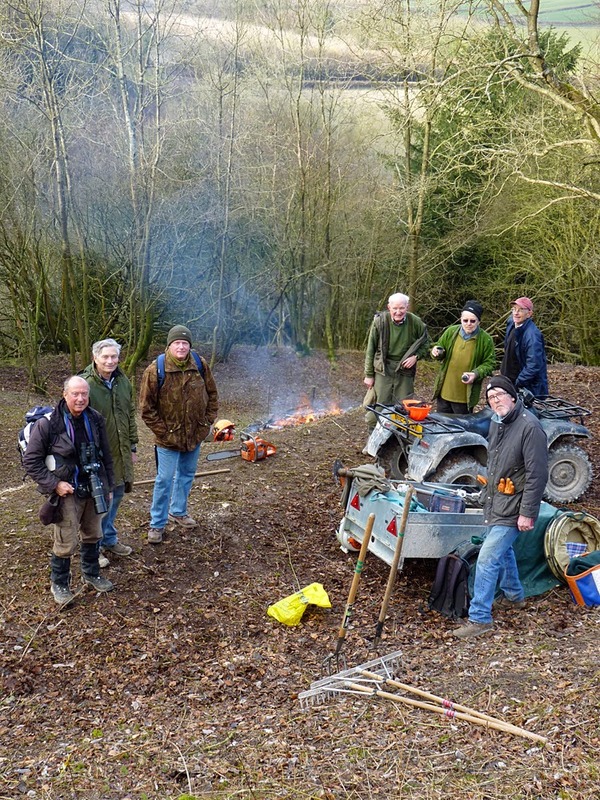 Today (4th February 2015) saw a good turn-out of Murray Downland Trust and Butterfly Conservation volunteers at the weekly work party. We have been concentrating on the same area for several weeks now, and a similar effort will be required to finish this particular task. I'm very optimistic that the area we are currently clearing will become a hotspot for the Duke of Burgundy butterfly. 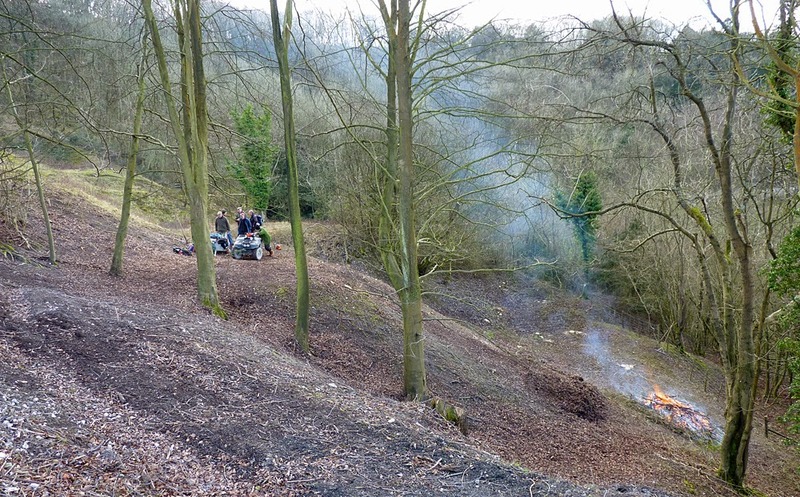 Prior to a change in the direction of habitat management in 2007, this threatened species occurred in very low numbers (fewer than five on the best days), and all were seen in and around the small pit which can be seen behind the group of volunteers in the second image. I have often referred to this area as the Duke's 'Alamo', where it hung on tenaciously until, in this case, help arrived in time. The butterfly picked this last stronghold for a good reason; it must provide the very best conditions for the species anywhere on the hill. 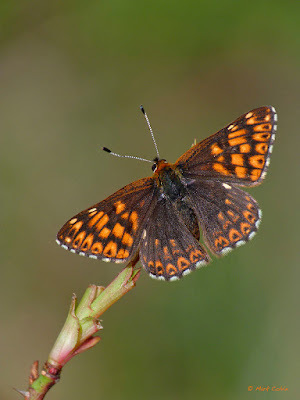 As we are clearing the immediately adjacent areas, with similar topography and microclimate, the hope is that the Duke of Burgundy will thrive here, once suitable vegetation becomes established over the next three or four years. 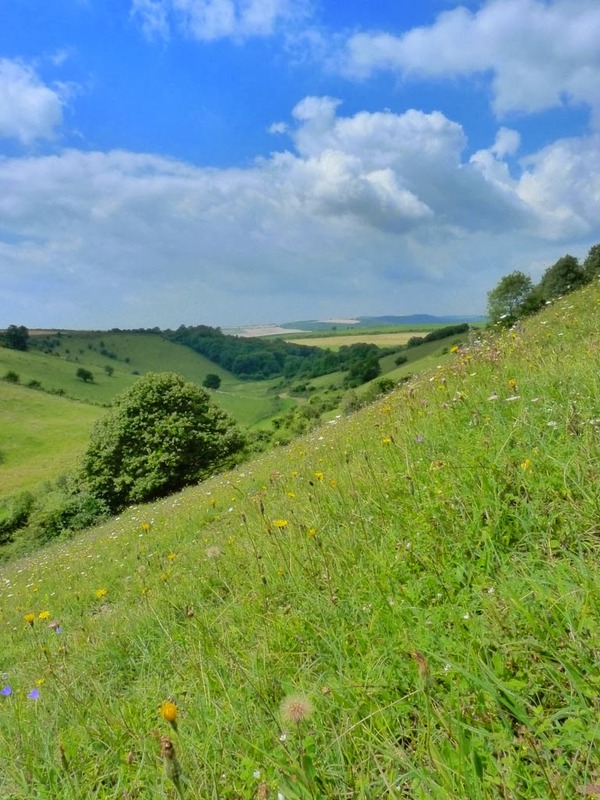 The restoration of 0.5 hectare of chalk grassland in this particular spot may be worth 2.0 hectares elsewhere. After achieving a great deal and heading for home, our group descended through the lowermost pit, only to be met by some new arrivals. 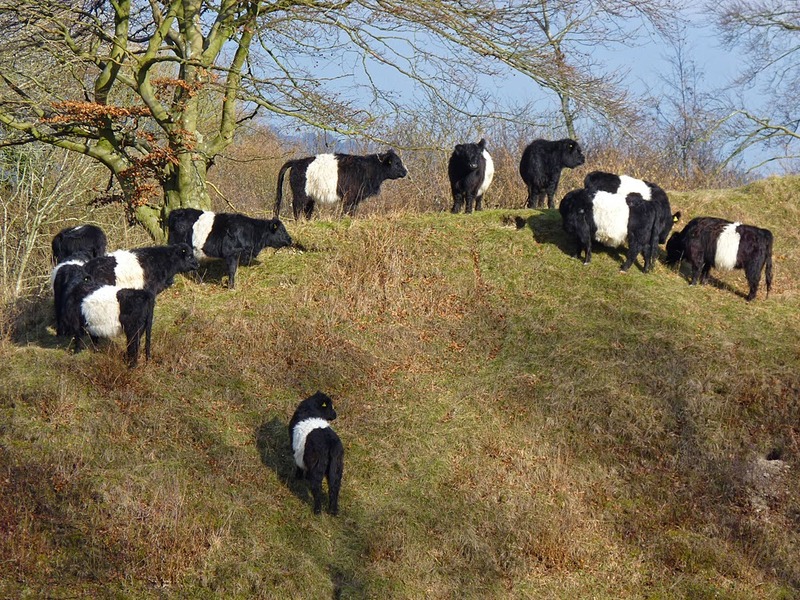 A dozen Belted Galloways had been delivered, on transfer from the National Trust. These hardy, light-weight cattle will be tackling the regrowth of scrub and some coarser grasses over the next few weeks. The next work parties are scheduled for Wednesday 11th and Thursday 19th February - all welcome.